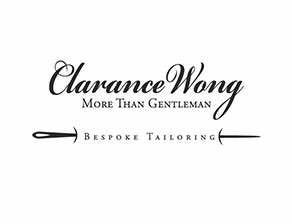 Founded in 2014, the tailoring house of Clarance Wong has become recognized as one of the best tailoring house in China, for both bespoke tailoring and MTM. Consistent with our commitments to finest craftsmanship and unrivaled quality, we grew our foundations and house style from London Cut and Naples’ tailoring traditions. And with the finely selected fabrics and the most celebrated practitioners, we demonstrate an easier, more fluid style that regarded as modern, delicate, elegant and self-confident. The Clarance Wong’s team comprises of the country’s best practitioners from cutting to tailoring to ensure a continuity of precision and pride. The exacting particulars of our house style such as sophisticated back silhouette cutting and tulip-shaped pockets have earned our reputations as unique and iconic. The tailoring house of Clarance Wong has become the best of its kind in South China and highly applauded by GQ and The Rake as well as social media.